This magnificent French Neoclassical 3 piece garniture clock set is crafted of striking Pakistani onyx. 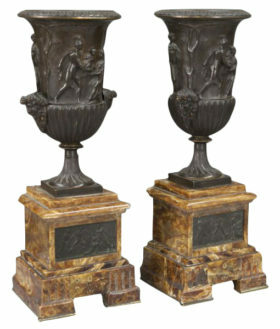 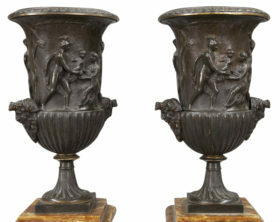 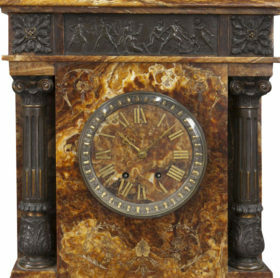 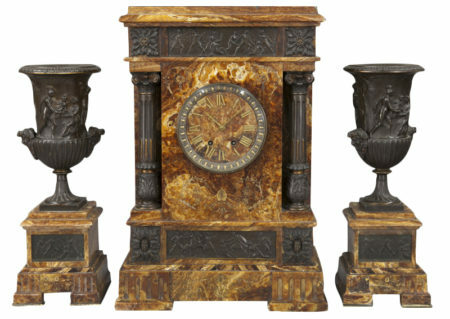 This clock features an elegant Classical frieze, with full columns and urns made of patinated bronze. 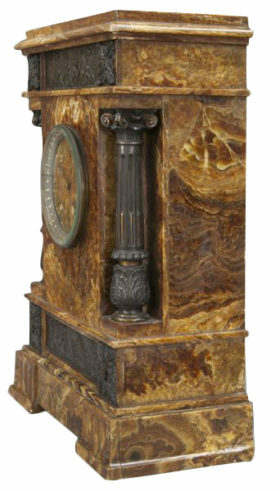 The clock houses an 8 day movement striking on a tuned gong.